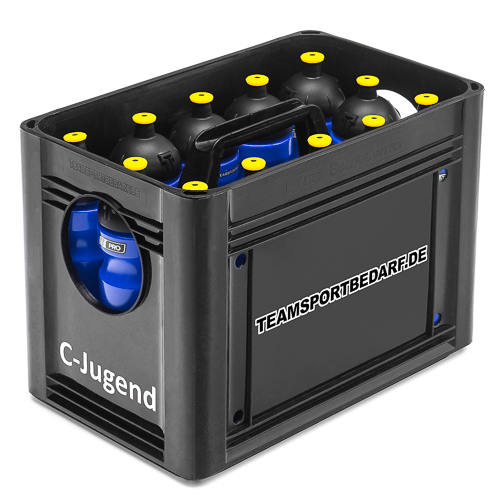 Please order the T-PRO BottleCarrier separately! 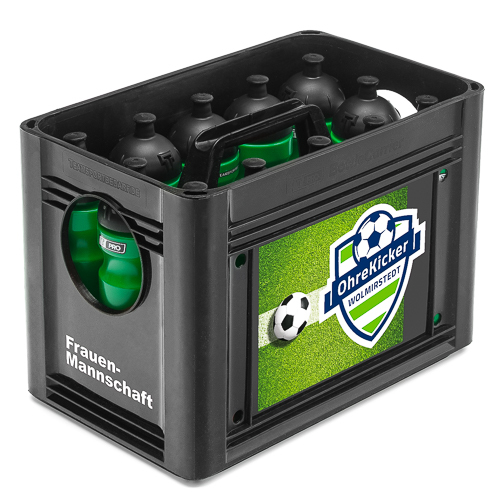 A high-quality imprint with your desired club logo, sponsor, lettering, pictures, advertising etc. 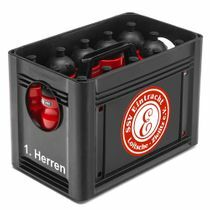 for the T-PRO BottleCarrier (please buy T-PRO BottleCarrier separately!). The imprint is made with high-quality and strongly adhesive foil stickers by qualified employees in our company. The foil stickers are suitable for indoor and outdoor use! With your logo your bottle carriers can be turned into beautiful and individual promotional items and you will additionally stand out. Please first select the T-PRO BottleCarrier(s) you wish to have printed and place them in the shopping basket. 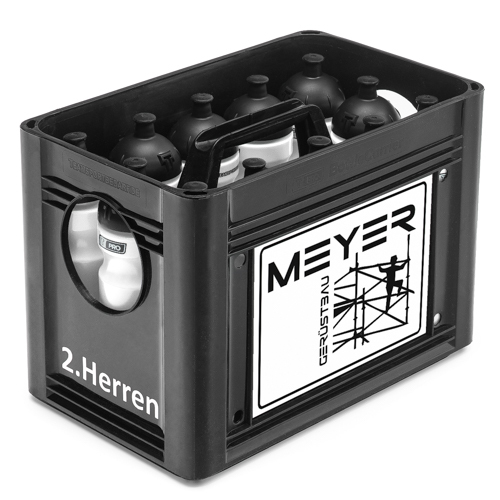 Then please add the item you wish to have printed for T-PRO BottleCarrier to your shopping cart. You can inform our graphics department of your wish for the imprint: E-mail: grafik@teamsportbedarf.de. 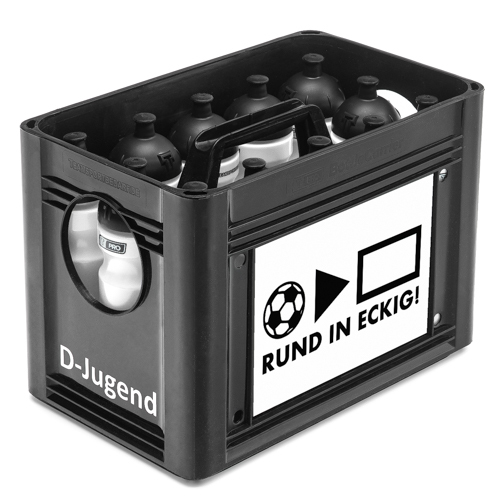 The price refers to one desired imprint with club logo, sponsor, lettering, pictures, advertising etc. without T-PRO BottleCarrier. 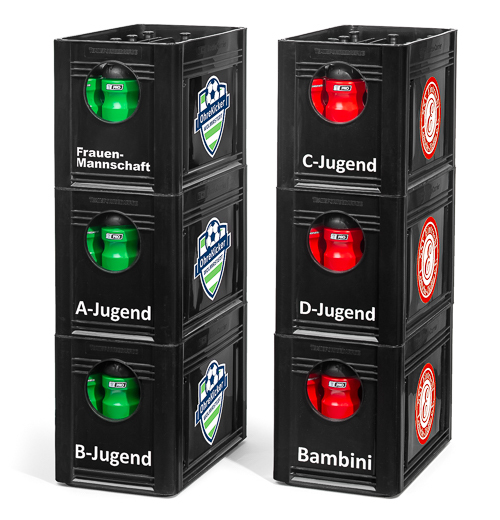 We also recommend our adhesive numbers for the matching drinking bottles, with which each player can be assigned his individual bottle, no more confusing the bottles. 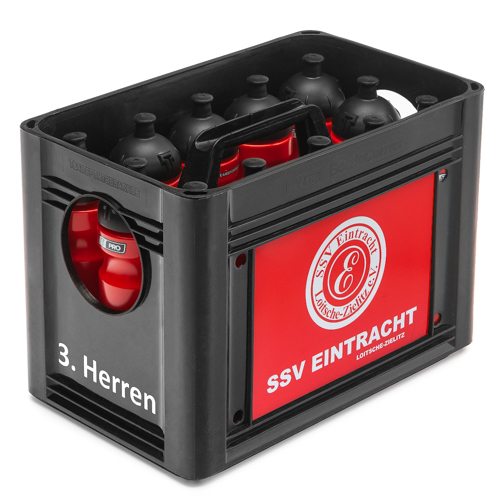 You can also buy the matching T-PRO BottleCarrier and the drinking bottles in our shop. Trainers and coaches from the professional sector use our products, too! 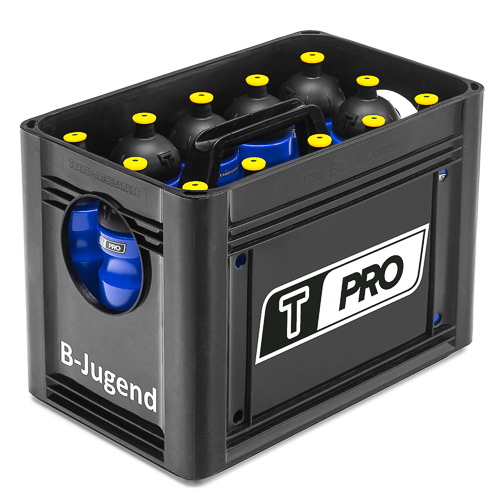 Please buy T-PRO BottleCarrier separately! Club logo, sponsor, lettering, pictures, advertising etc. Please always email club logos or other logos as vector graphics! For complex logo or graphic processing, a surcharge is raised.